Package Water-Cooled Process Chiller with Stainless Tank | Legacy Chiller Systems, Inc.
Have a question about one of our products? Need help designing your chiller? Call or email us. Legacy Chillers was able to design manufacture deliver and install a highly reliable, energy efficient chiller package to a remote Hawaiian Island. The three units have been in operation for nearly 8 years in a very corrosive environment and are still running strong. Legacy Chiller is an honest, highly technically competent refrigeration design and manufacturing company who sells solutions to refrigeration challenges from simple to complex. Whether it is one off or high volume, they deliver as promised. Legacy’s model PZWT water-cooled chiller system is ideal for smaller lab environment cooling applications. Available in 1.0 to 20.0 HP. Keep in mind that ALL water-cooled condenser process chillers require a way to reject their heat normally to another water source such as a cooling tower. Water cooled capacities based on ARI standard 45 °F LWT and 105 °F Condensing. 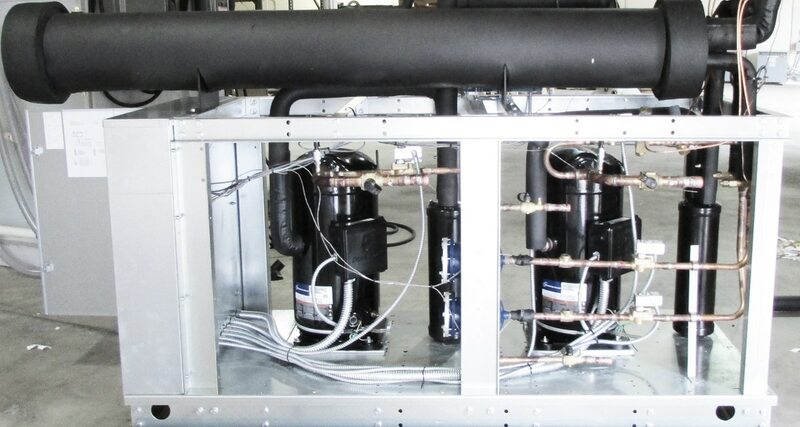 You can get a chiller price 24/7/365 from our automated on-line system in minutes. To receive chiller system design assistance 24/7, call us at 877-988-5464.